X8000 series test modules are high-performance professional load modules running on TestStorm series and support all the features of TestStorm platform. X6000 Series deliver complete wire-speed traffic test and protocol emulation for network equipment and network systems to meet the testing requirements in each stage of R & D, experiment. X8000 series test modules are high-performance professional load modules running on TestStorm series and support all the features of TestStorm platform. X6000 Series deliver complete wire-speed traffic test and protocol emulation for network equipment and network systems to meet the testing requirements in each stage of R & D, experiment and quality control. X8000 series test modules support up to 8 x 10G COMBO ports and support Cross-chassis synchronizing to provide large-scale protocol emulation, performance test and mass traffic stress test of Layer 2-7 network device. 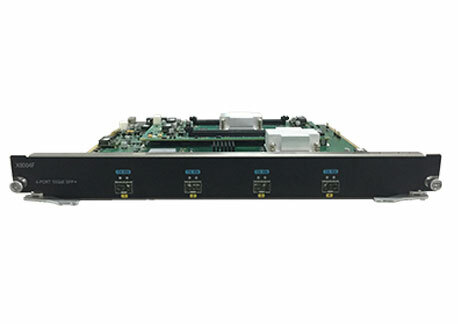 X8000 series modules support TeleExplorer, TeleAPP to meet different test needs. TeleExplorer is a standard test suite providing L2-7 test functions with powerful and flexible configuration. TeleAPP is a test suite to provide automated test of RFC2544 /2889/3918 with easy-to-use configuration and necessary test report output. X6000 also support TCL and API to meet customized testing requirements.